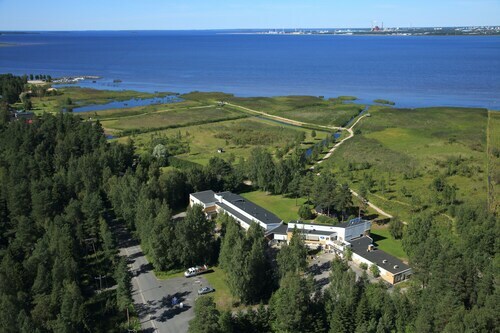 Situated on the waterfront, this hotel is within 9 mi (15 km) of Mannerheim Park, Toripolliisi Statue, and Oulun Energia Areena. Oulu Cathedral and Oulu Market Square are also within 9 mi (15 km). 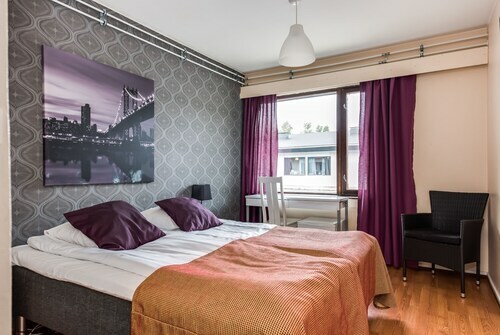 Situated in Kempele, this hotel is within 9 mi (15 km) of Mannerheim Park, Toripolliisi Statue, and Oulu Market Square. Oulun Energia Areena and Oulu Cathedral are also within 9 mi (15 km). 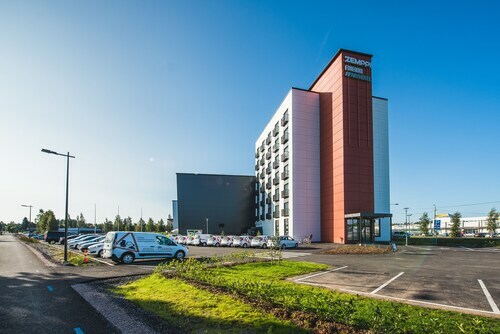 Situated near the airport, this hotel is within 9 mi (15 km) of Mannerheim Park, Toripolliisi Statue, and Oulu Market Square. Oulun Energia Areena and Oulu Cathedral are also within 9 mi (15 km). 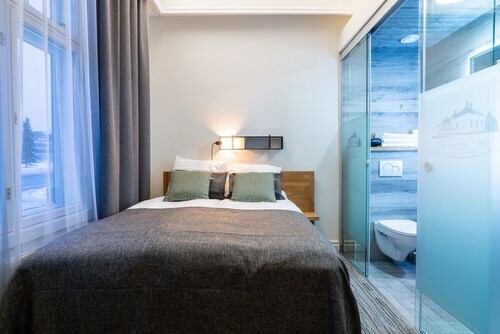 This family-friendly Oulu hotel is located by the sea, within a 5-minute walk of Oulu Market Square and Toripolliisi Statue. Pohjois Pohjanmaan Museo and Oulu Cathedral are also within 10 minutes. Oulu Central Station is 13 minutes by foot. 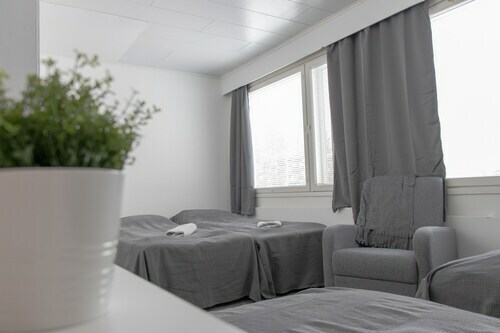 Situated in Kempele, this aparthotel is within 12 mi (20 km) of Oulun Energia Areena, Oulu Cathedral, and Mannerheim Park. Pohjois Pohjanmaan Museo and Tietomaa are also within 12 mi (20 km). Situated in Oulu, this hotel is within a 15-minute walk of Mannerheim Park and Toripolliisi Statue. Oulu Market Square and Oulu Cathedral are also within 1 mi (2 km). Oulu Central Station is 21 minutes by foot. 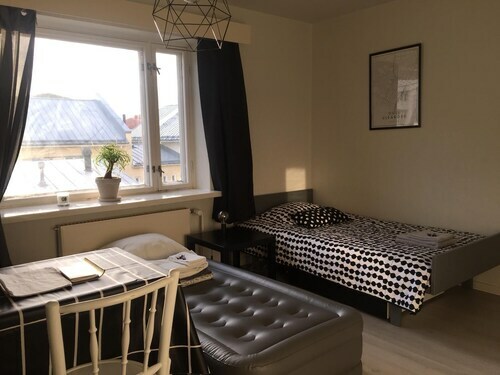 Situated in Oulu, this property is within a 15-minute walk of Mannerheim Park, Toripolliisi Statue, and Oulu Market Square. Oulu Cathedral and Oulun Energia Areena are also within 1 mi (2 km). Oulu Central Station is 14 minutes by foot. Located in the heart of Oulu, this hotel is within a 5-minute walk of Toripolliisi Statue and Oulu Market Square. Mannerheim Park and Oulu Cathedral are also within 10 minutes. Oulu Central Station is 13 minutes by foot.